Operating agreements are documents that outline an agreement among managing members of a limited liability company regarding financial and managerial rights and duties. 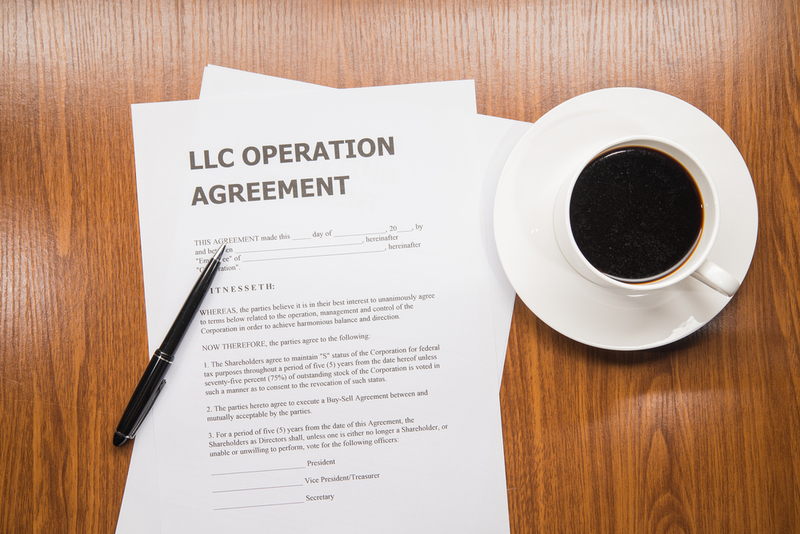 If you are a business owner of an LLC, you may need to develop operating agreements for your partners. To learn more about operating agreements and what you need to include while drafting one, keep reading below. One of the main purposes of operating agreements is to establish various processes for your LLC. Your organization needs to have a membership admission process in place, as well as a voting process, quorum, and even dissolution. It is essential that you identify the system and procedures that will be followed to take actionable steps toward improving your business. Additionally, you may want to consider adding a process for amending your operating agreement to ensure that the system can grow and change with your company. Another primary function of operating agreements is to identify company leadership. If you want to draft a useful document, this should be one of the first things you consider. Across the board, you should clarify who the primary manager of the company is, as well as the duties and abilities of various members. You can get as detailed as who will be the Facebook business manager too. Having a document that clearly states the levels of accessibility of what you and your partners can do will be incredibly helpful when it comes to actually running your business. Similarly to the process of identifying company leadership, you will also have to consider member levels of interest. Anyone involved in your organization will have a specific set of responsibilities. If new members want to buy into the business, they will also need a list of rights addressing their level of engagement in the company. Or if someone wants to do a sale lease back deal, the restrictions are already laid out. Be sure to consider the different ways in which certain members can take an actionable position in the organization. Your operating agreement should also serve as a financial document. This agreement should briefly list the potential profits and losses for each individual member. With an LLC, any earnings or losses are passed through the company, directly to the members. Usually, this is done according to the percent that each individual member owns. However, other organizations may choose to adjust distribution for a variety of reasons. Choose what process works best for you and identify that in your operating agreements. Finally, the last thing that an operating agreement should do is plan for the future. This means that it must cover a wide variety of topics from member death to buyout agreements to ownership changes. Similar to the S Corp filing deadline, your Limited Liability Corporation must meet all the legal requirements and filing deadlines. Take the time to address the many potential situations your company may face. Then, set up any additional processes that you may need to invoke. Drafting operating agreements for an LLC can be difficult. There is a lot to consider when arranging the right system for your company. Everything from profit distribution to membership quorum must be identified in this document. To ensure that you have everything you need, be sure to refer back to this post as you are writing up your first operating agreement.